The Adult Learning Disability Core Vocabulary was originally compiled by the Edinburgh Adult Learning Disability Service to provide a starting point for signing with adults. 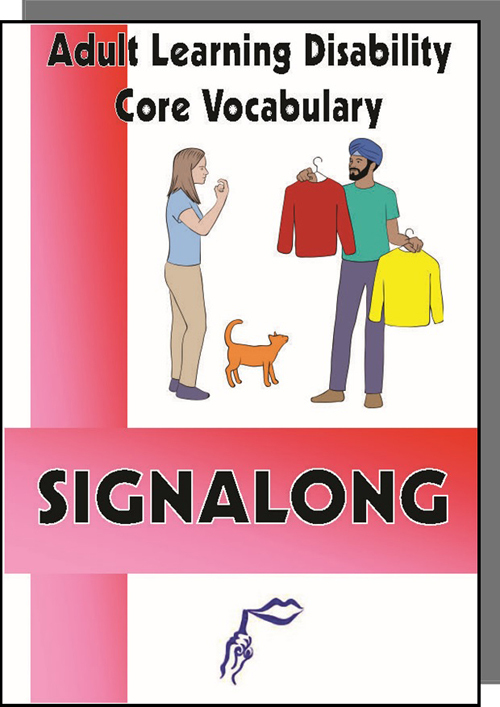 While the Signalong Basic Vocabulary Phase 1 manual contains general functional vocabulary, the team felt that its original arrangement to suit the Derbyshire Language Scheme meant that the order in which the signs were presented were better suited to a child-oriented environment. It has always been a basic tenet of Signalong that vocabulary should be relevant to the user, so the charity was happy to provide it in this format, made up of signs which were most frequently used.